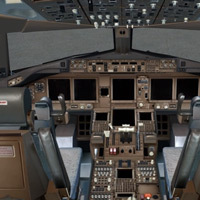 If you want to see the PMDG 777 in depth, you’ve come to the right place. Here our own Nick Collett goes through the PMDG 777 and shows you many of it’s features, design elements, and gives you an overall feel for what the aircraft is about. The video is 1 Hour 21 Minutes long! It’s a bit funny at the beginning when Nick says, “This is going to be a short look“. Well, I’m sure you’ll have no complaints, as you’ll be engrossed in how incredible this aircraft is. Nick goes through a detailed ‘fly around‘ in the cockpit, showing you the visual detail of the cockpit. The detail is no doubt incredible, and offers a level of realism we haven’t seen before. Obviously as pilots and flight simmers, we want to get in and actually start to use the aircraft. You’ll get much more of knowledge than just talking about a pretty airplane! Nick goes through a full Cold and Dark Start, a Takeoff, Climb, and also a raw data NDB with ILS. Nick is a big show off. This stuff isn’t easy, and it goes to show just how fantastic his training will be in 777 FlightWork. In 777 FlightWork, Nick will take you on realistic routes, from pre-flight planning to shutdown at the gate at the other end. The first flight he’ll be taking you on, which will be available in just a matter of weeks, is Dubai to Amsterdam. We encourage you to sign up for Training Updates at www.777Training.com so you know when our training is available. Not only do we have FlightWork coming from Nick, but we have already been working for the last year on GroundWork, which is systems training you’re meant to get on the ground before getting in the air. Beautiful airplane, Randazzo and company have done it again! Another masterpiece of this video and thanks for taking the trouble to do it. Nothing has been the same since you left and I hope your back for good, or until you are demanded for doing what you have spent so much time training for. You can guarantee that you have now sold a lot more T7 PMDG simulations caused by watching your video. Good luck with your aviation career and congrats on the ATPL! I’ve got the sound all the way up and can barely hear him. I had the same problem. Okay on my smartphone however. How are you moving around in the VC like that? I simply don’t get time now to fly FSX (uni studies!). I would really prefer it if you narrated ALL of the training video’s I like the English accent – sounds more professional! Apologies to your other AoA buddies but that’s my honest opinion. Great review of the 777. Thoroughly enjoyed your review. … and I prefer the American English – really! Informative video, but could only understand about half of what was being said. 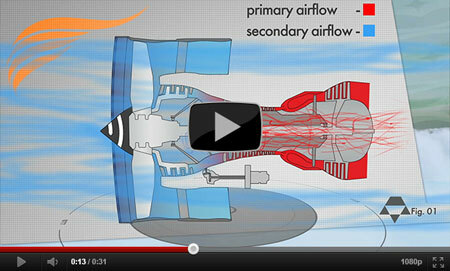 Great to have you back Nick, and congrats on the ATPL; a great video…looking forward to more from you and the team. The sim is on sale for $165, 000, 000.00 I think I’ll get a real one. Lol. Thanks for negotiating the discount. Always a pleasure to watch and always learning with you and AOA.